You’re not any one thing, why should your bag be? 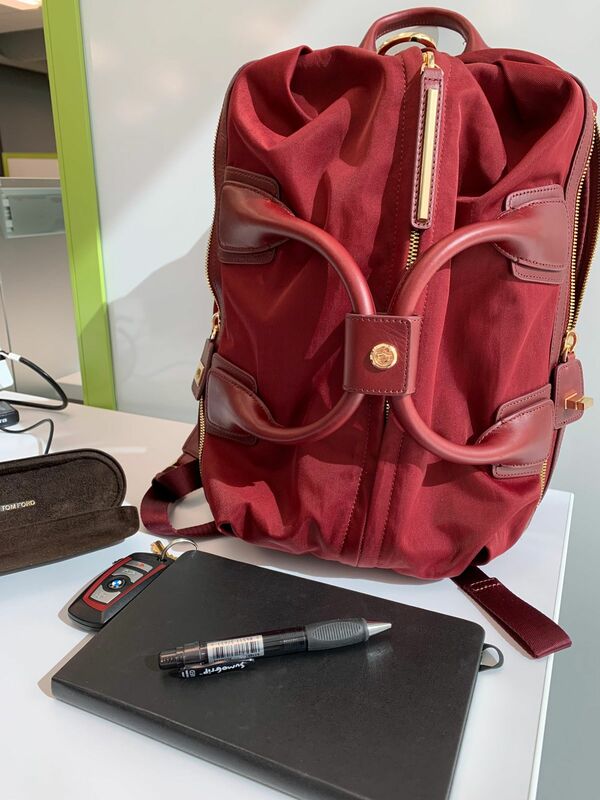 The Studio Bag Medium in limited edition colors features everything you know and love about the Studio Bag Medium wrapped up in luxurious colored Italian nylon and exquisite buttery Italian leather. Transition it from satchel to backpack to crossbody simply by changing straps. Carry it wherever you go--it’s ready to adapt to your needs and keep up with your lifestyle. As many of the other reviews stated, this is one beautiful bag. I was worried about the weight but it is actually not badat all. I could fit 14” laptop on the main compartment - but not on the sleeve. Instead, i use that to hold my moleskin and pencil pouch. Love the side pockets on the outer sides too - perfect for phone and wallet. The straps are super comfortable so even when I loaded up this bag, they do not dig on my shoulders. This is an awesome bag and I love all the pockets and zippered compartments and how it hooks over my luggage when I travel. This is my second Caraa bag and I am so happy with all my purchases!! The product stands up to my daily abuse and their customer service is great. I have reached out multiple time asking about the different styles and a slight shipping delay and their team has been really friendly and helpful. Good brand! I prefer backpacks so I can be hands free but I always have hard time finding one that’s fashionable and also functional. I have looked at brands like MCM or MZ Wallace and although the look is ok, they don’t have the right number of pockets for what I need. I am so happy there are stylish and functional versions like this one. I chose this over other designer (and pricier) bags because of the pockets on the outside - 2 side pockets and the main zip pocket. The color is a deep red which goes with pretty much anything dark, and the quality is top notch. Very happy with this purchase. Great bag for travel: used it on a Rome trip and it is so versatile: I flew using it as a backpack but changed to crossbody when I was using it to go out for dinners when I got to my destination. The straps that comes with the bags are very intuitive and very easy to adjust. This bag is perfectly made for travel. On the outside, the outside zipper pockets are ideal for phone, wallets and passports. And the main compartment fits a ton in addition to my laptop given that the bag is made out nylon and it can expand. I ended up getting the Medium in Oxblood and gold hardware. The color is even more gorgeous in person!